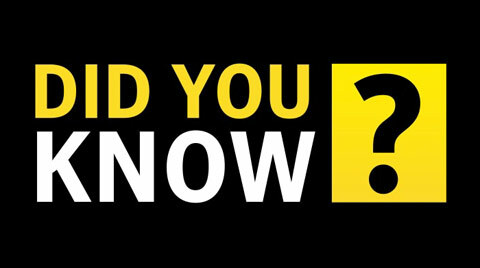 The pyramids served as tombs for mummified Egyptians. The body was then put on an inclining couch so the yummy liquids and natron could drip to the bottom into a pan. The body was rubbed with frankincense to make the skin supple. Next, weird indentations from where the organs used to be were stuffed with spices or sawdust. 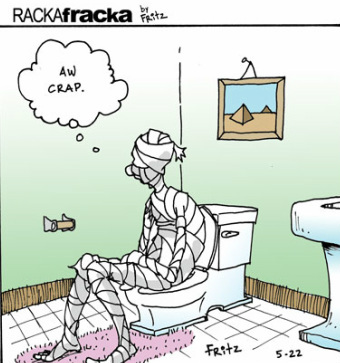 Over 1,000 yards of linen was used to wrap a mummy. The head and neck were first. Then the fingers and the toes were individually wrapped. The arms and legs were wrapped separately and then tied together. At every layer, the bandages were painted with tree resin that helped to glue everything together. The wrapping part took 15 days. Many mummies would have a mask, which let their spirit recognize them when it returned to the tomb. All mummies were buried with the Book of the Dead (which had instructions for the afterlife). 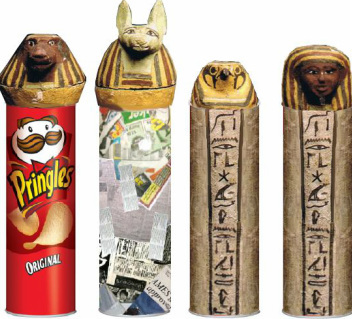 Wait a minute... one of these canopic jars doesn't quite fit. 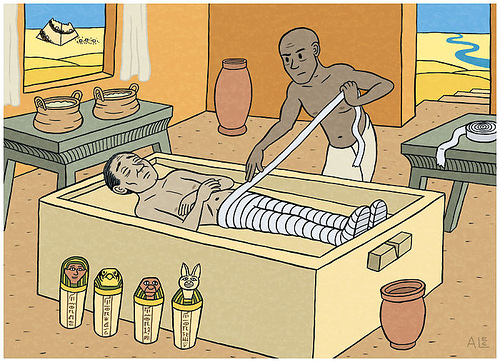 Canopic jars were used to hold the dead person's important organs. The jars were shaped with the heads of the four sons of Horus (the "good guy" and god of the sky). There was the falcon Kebehsenuef who held the intestines. The jackal Duamutef held the stomach. The baboon Hapi held the lungs. The human Imsety held the liver. 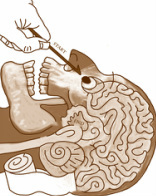 The heart, believed to be the seat of intelligence and emotion, was left in the body. Go ahead... it's also a maze! The most famous mask is the gold one buried with King Tutankhamen. King "Tut" became pharaoh at age nine, and his tomb, containing fabulous treasures, was found virtually intact by British archaeologists in 1922.